Unit 1 Mangham Road, Barbot Hall Industrial Estate, Rotherham, S61 4RJ — 1369 yards to the north. Rotherham — 569 yards to the east. Ground Floor, Enterprise House, Bridge Street, Rotherham, S60 1QJ — 184 yards to the northeast. Shafton — 300 yards to the southeast. Unit 3, Hutton Business Park, Rotherham, S65 1SE — 192 yards to the west. Parkgate complex Rawmarsh Road, Rotherham, S60 1RZ — 1224 yards to the northeast. 78 kimberworth road, Rotherham, S61 1AE — 1114 yards to the west. Rotherham — 1526 yards to the northeast. Clifton Lane, Rotherham, S65 2AA — 1009 yards to the east. Rotherham — 300 yards to the southeast. New York Way, Rotherham, S60 1AH — 547 yards to the south. Doncaster road Braithwell, Rotherham — 300 yards to the southeast. Catherine Street, Rotherham, S65 1EB — 668 yards to the east. Catherine St, Rotherham, S65 1EB — 665 yards to the east. Rotherham — 254 yards to the northwest. Central Road, Rotherham, S60 1QH — 129 yards to the north. 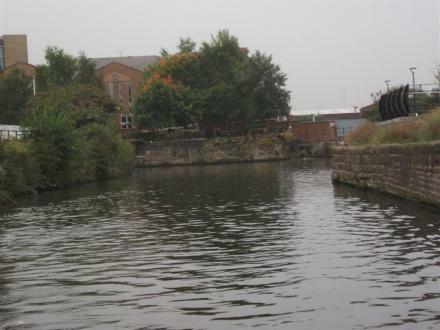 Riverside House, Main Street, Rotherham, Rotherham, S60 1AE — 262 yards to the south. College Walk, Rotherham, S60 1 — 407 yards to the northeast. Badsley Moor Lane, Rotherham, S60 2SN — 1415 yards to the east. Malthouse Building, Masborough Street, Rotherham, s60 1ex, Rotherham, S60 1EX — 165 yards to the west. 175 EFFINGHAM STREET, Rotherham, S65 1BL — 1024 yards to the northeast. Fitter Than Average, upstairs behind Akm Steel Works, Masbrough street, Rotherham, S60 1EX — 206 yards to the west. Moorgate Street, Rotherham, S60 2TH — 492 yards to the southeast.